Tickets: $30 per person, general seating only. ​Reserved seating available for tables of 10 only. ​Tickets must be purchased in advance. 2018 Suffolk Peanut Fest Queen . 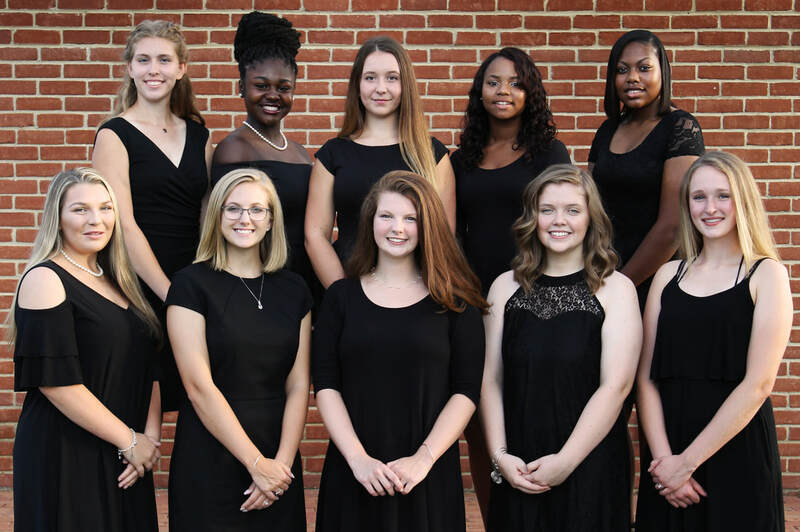 . .
​Bridget McKneely representing Nansemond Suffolk Academy! Since 1941, the peanut festivities have included an array of pageantry and the coronation of a queen and her court. The first "Queen Arachis Hypogea" (the botanical name for the peanut plant), Olive Cawley from New Jersey, was attired in an all-peanut gown, and her entourage included 50 princesses from dozens of communities and neighboring states. The second festival queen, Patricia Donnelly of Detroit, had been the 1939 Miss America. She was greeted at the airport by dignitaries including Amedeo Obici, who scattered roasted peanuts at her feet rather than the traditional rose petals. The modern predecessor of today's festival, Harvest Fest, was started in 1978, and the festival queen was voted by the general public. Since then, the title has been bestowed to scores of young ladies, along with the task of representing the festival and the City of Suffolk and an array of activities. Since 1974, The Pilot Club of Suffolk has worked diligently to support community-based organizations and activities. For instance, the Club hosts an annual Civic Night when donations are presented to community agencies; it educates both children and adults about brain-related disorders; handcrafts 500 teddy bears for Sentara Obici Memorial Hospital; recognizes 50 high school students who have demonstrated exemplary community spirit, etc.